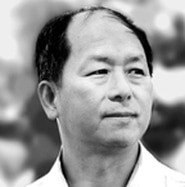 YMAA was founded in Boston by Dr. Yang, Jwing-Ming in 1982 to preserve his knowledge of Chinese martial arts and Qigong and share them with the world. He has realized a great part of this dream through YMAA. YMAA is best known for being a traditional martial arts school, with a strong focus on quality, refinement, and self-discipline. After teaching for more than 30 years, Dr. Yang has qualified over 100 YMAA Instructors, Assistant Instructors, and Coach Instructors in the world today. Internationally, YMAA instructors and students share Dr. Yang's vision of bringing the art to a deeper level of practice and understanding. Today, Dr. Yang resides in Humboldt County in California, overseeing and directing operations at the YMAA California Retreat Center, where he leads a small group of students in an intense 10-year training program. Dr. Yang continues to write and to supervise all of YMAA International. Dr. Yang's younger son, Nicholas, is now the President of YMAA International. Dr. Yang, Jwing-Ming was born on August 11, 1946 in Xinzhu, Taiwan, Republic of China. He started his Wushu, or Gongfu, training at the age of 15 in Shaolin White Crane under Master Cheng, Gin-Gsao (1911-1976). As a child, Master Cheng learned Taizuquan from his grandfather, and after turning 15, he studied White Crane under Master Jin, Shao-Feng for 23 years. 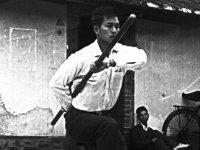 After 13 years of study (1961-1974) under Master Cheng, Dr. Yang became an expert in the White Crane style of Chinese martial arts, including barehand techniques and various weapons such as saber, staff, spear, trident, and two short rods. Under Master Cheng, Dr. Yang also studied White Crane Qigong, Qin Na, Tui Na and Dian Xue massage, and herbal treatment. 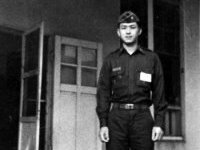 At 16, Dr. Yang began the study of Yang Style Taijiquan under Master Kao, Tao while attending high school in Hsinchu. Through the practice of Taijiquan under Grandmaster Kao, Dr. Yang was able to heal a chronic ulcer. Under Grandmaster Kao, Dr. Yang also began to explore the martial side of Taijiquan in-depth. He later continued his study of Taijiquan under several other masters and senior practitioners, such as Master Li, Mao-Ching and Mr. Wilson Chen in Taipei. Master Li learned Taijiquan from the well-known Master Han, Ching-Tang, and Mr. Chen learned from Master Zhang, Xiang-San. 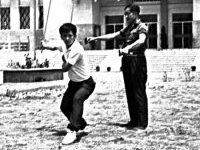 Under these masters, Dr. Yang was able to master the Taiji bare-hand sequence, the two-man fighting sequence, pushing hands, Taiji sword, Taiji saber, and Taiji Qigong. 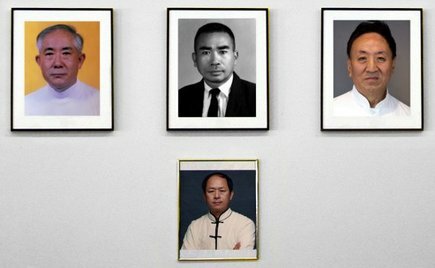 See more of the YMAA Tai Chi Lineage here. Dr. Yang has been involved in Chinese Wushu since 1961. Altogether, he spent 13 years learning Shaolin White Crane, Shaolin Long Fist, and Taijiquan under several different masters. He has taught for more than 40 years: 7 years in Taiwan, 5 years at Purdue University, 2 years in Houston, and 26 years in Boston. He has taught seminars all around the world, sharing his knowledge of Chinese martial arts and Qigong. Dr. Yang has traveled to Argentina, Austria, Barbados, Botswana, Belgium, Bermuda, Canada, China, Chile, England, Egypt, France, Germany, Holland, Hungary, Iran, Ireland, Italy, Latvia, Mexico, Poland, Portugal, Saudi Arabia, Spain, South Africa, Switzerland, and Venezuela. He has published over 30 books and 50 videos and DVDs on the martial arts and Qigong. His work has been translated into many foreign languages, including French, Italian, Spanish, Polish, Hungarian, Dutch, Czech, Bulgarian and Russian. Dr. Yang was named by Inside Kung Fu Magazine as one of the people who has "made the greatest impact on martial arts in the past 100 years." In 2003, Black Belt Magazine named Dr. Yang as its 2003 "Kung Fu Artist of the Year." He was also named "Man of the Year" by Inside Kung-Fu in 2007. "I want to lead Chinese martial artists in the West back to their roots and help them regain their original high level of skill and public respect. I also wish to bring Qigong training to the Western world and have it accepted by the Western medical society once and for all."